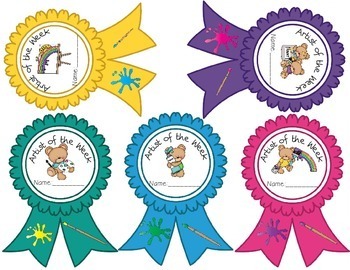 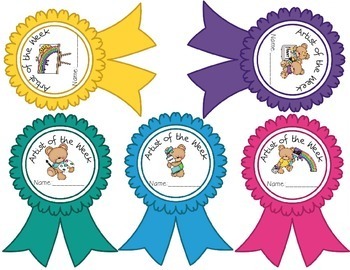 This is a set of artist of the week award ribbons. 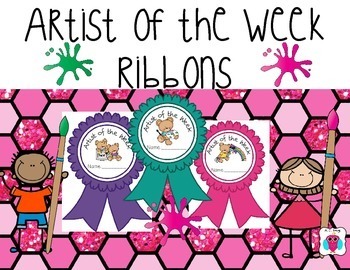 The ribbons read, "Artist of the Week." 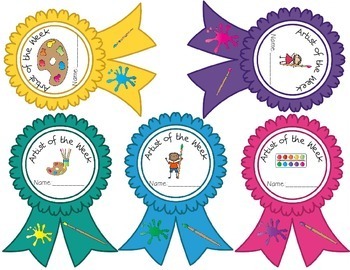 They also have a place for writing the student's name.